Check out this new home theater system from Akai, the AISS010 All-in-one Home Theater System. 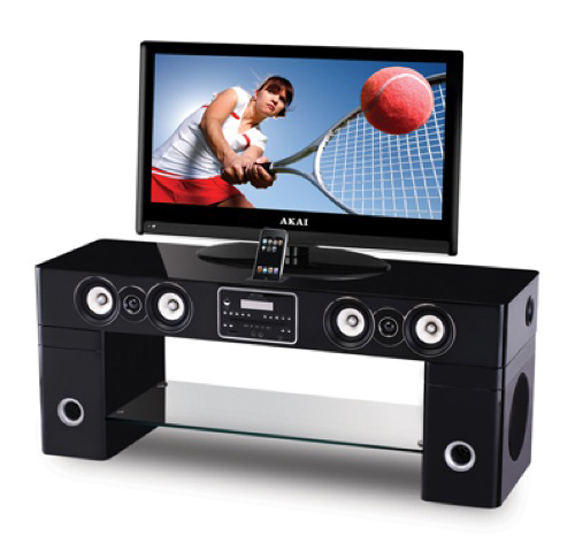 The Akai AISS010 All-in-one Home Theater System comes with a built in iPod dock, an AM/FM Radio and even an LCD clock. The Akai AISS010 All-in-one Home Theater System will retail for about $1,000, mind you I am not sure I would want it on my living room as it looks a little bit over the top.